What would it be like to live in Halloween Town? Would being surrounded by ghosts, vampires, werewolves, witches and monsters all the time be terrifying or terrific fun? According the Jack Skellington, it can all start seem a bit routine after a while. When the opportunity arises to experience a new holiday, he is eager to experience it and convinces his fellow residents to all participate as well. 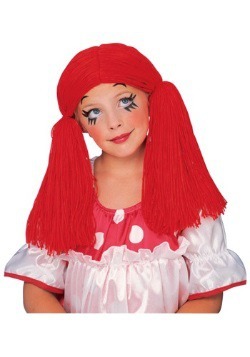 Meanwhile a sweet rag doll woman named Sally, while finding herself attracted to Jack, is also worried by his plans. While she can see that Jack's intentions are good, she is worried that things are happening that he hasn't anticipated that will result in disaster. 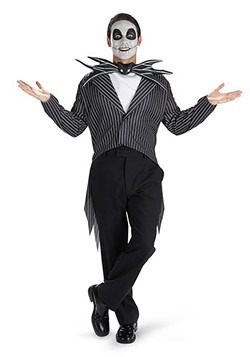 With a Jack Skellington costume, you can become the idealistic character that ultimately is able to make everything right. Or perhaps you're more of a Sally. 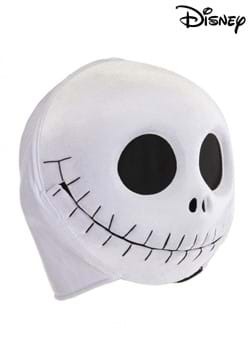 With a Sally costume you can try to keep Jack out of trouble. 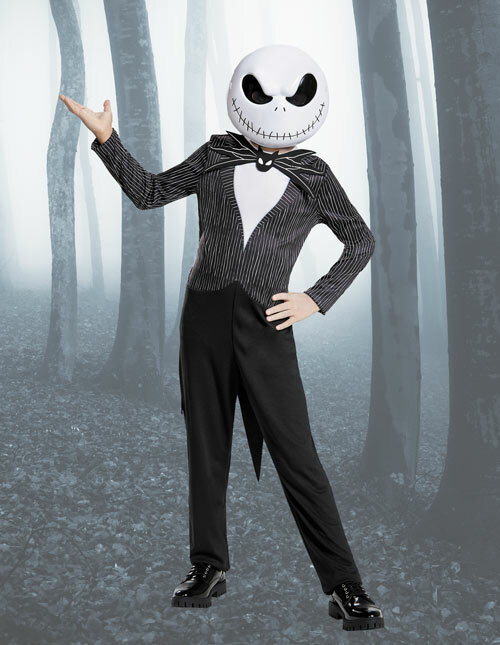 Either way, you can enjoy the magic of A Nightmare Before Christmas anytime you want with these Nightmare Before Christmas costumes! 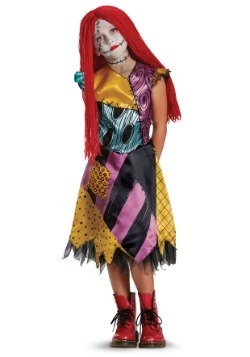 Pair up with a friend to strut Jack and Sally costumes for Halloween this year. “This is Halloween, everybody make a scene!” Well, you heard the Pumpkin King, it’s time to celebrate the one day of the year where it’s totally acceptable to bang on your neighbor’s door and demand candy. 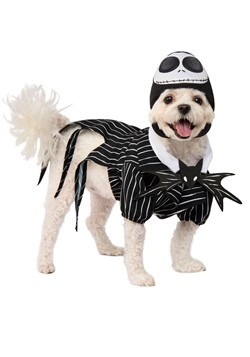 Dressing in a Nightmare Before Christmas costume will not only show your appreciation for the patron spirit of Halloween (a.k.a. 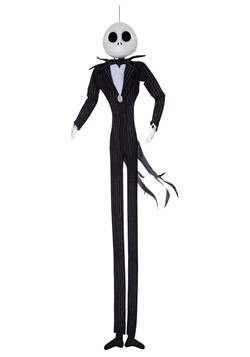 Jack Skellington), but it will completely transform you into the crooning corpse! 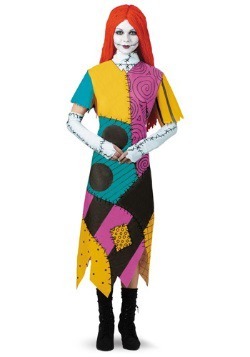 Ladies will love experiencing what it’s like being the fearless ragdoll and prized creation of Dr. Finklestein by stitching themselves into one of our Sally costumes. 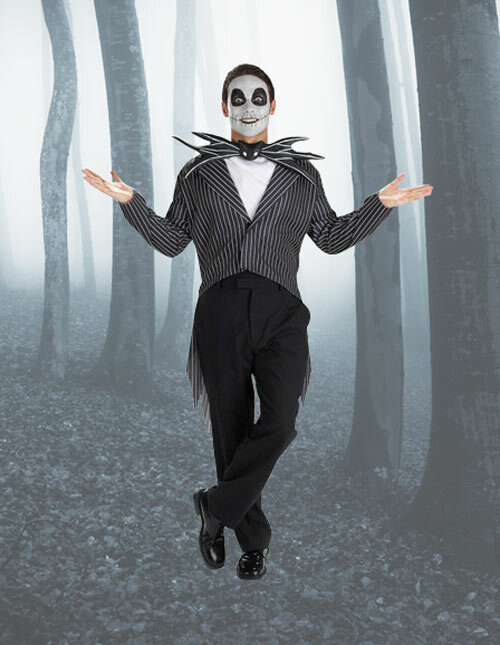 Check out our large selection of Tim Burton costumes to form your own slightly spooky, yet endearing couple’s costume. 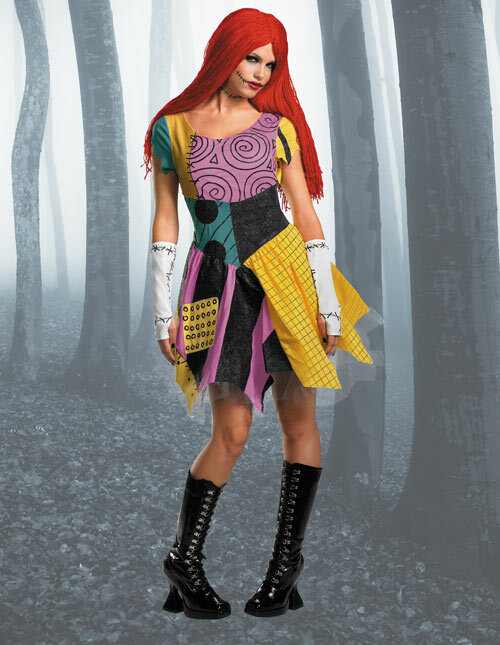 Whether you choose to hang out at the green lagoon with swamp creatures or you go on a hunt for “Sandy Claws” himself, these Jack and Sally Halloween costumes will give you a taste of what it’s like to become Halloween Town’s most likable duo. What’s this? What’s this?! 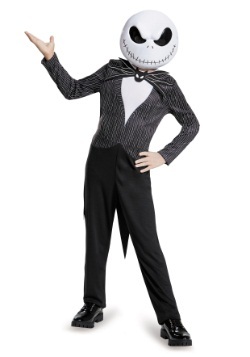 Well, I’m glad you asked because this is an awesome Jack the pumpkin king costume for men. You’ll love how you’ll feel spooky yet refined when you’re outfitted in the striped jacket, bat bow tie, white ascot, and molded latex mask. 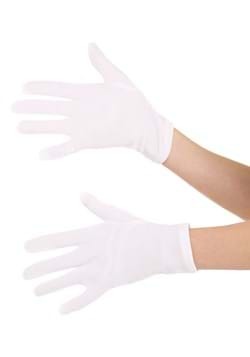 Add a pair of white gloves to complete the elegant look. If you are lucky enough to find a beautiful spiral hill, don’t hold back: step out on the edge and sing your heart out! 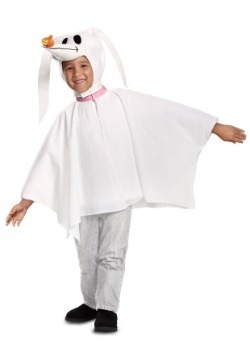 We can picture it now: you’re slowly ascending from a fountain of green ooze dressed in a Jack Skellington costume for kids. 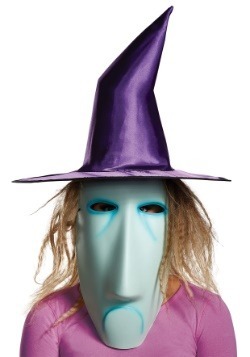 All the witches, ghouls, goblins, and even the mayor of Halloween Town are chanting your name. After all, you are the one and only Pumpkin King! 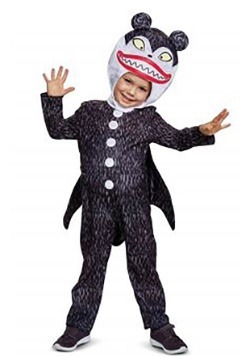 Young fans of Tim Burton’s stop-motion animated film will love dressing up as the movie’s melodramatic protagonist. 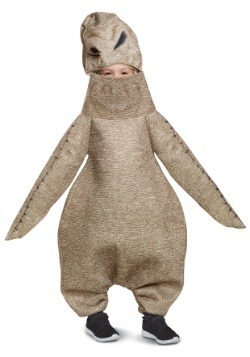 Go on a quest for the magical door leading to Christmas Town when you’re outfitted in the jumpsuit, bow tie, and mask. 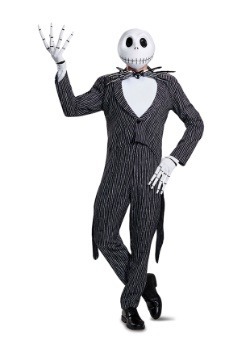 Do you know anyone else who rocks a pinstripe suit better than the one and only Jack Skeleton? Beetlejuice is his only competition. 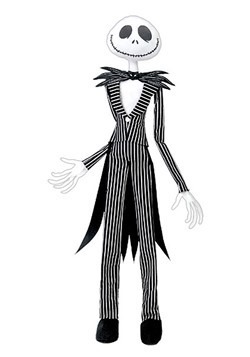 You can go ahead and give it a shot and outfit yourself in this Jack Nightmare before Christmas costume. 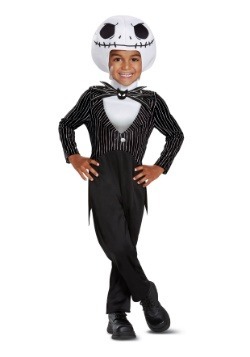 With this costume, you’ll receive the jacket, ascot, and signature bow tie. Create a spooky graveyard scene with Halloween decorations and strike a pose amongst the sea of tombstones! Just do us a favor and don’t attempt to take over Santa’s holiday! We don’t know how he does it, but Jack can pull off everything from a white beard to an oversized bow tie! 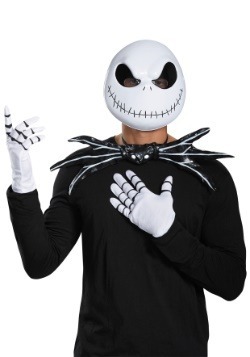 If you don’t quite have the stylish flexibility of the Pumpkin King, you may like wearing this Jack Skellington costume t-shirt better than some other Halloween Nightmare Before Christmas Costumes. 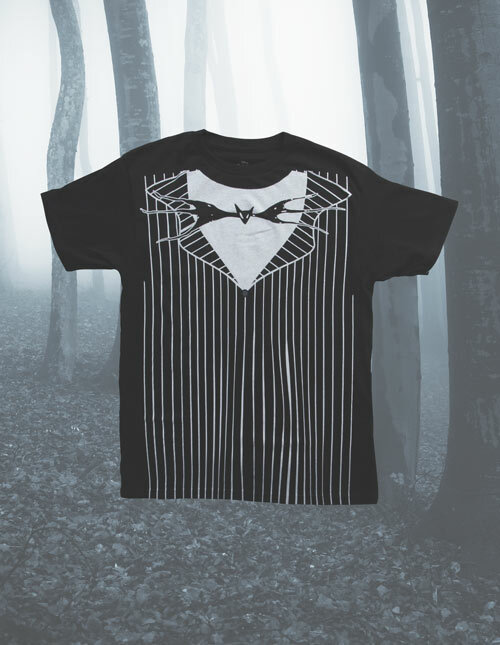 The tee is soft and comfortable while perfectly recreating Jack’s signature look. 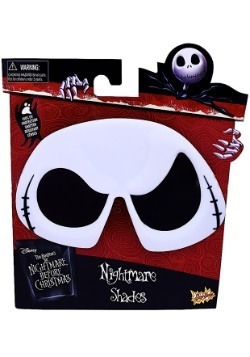 Wear a pair of these Jack Skellington sunglasses to create your very own relaxed and simplistic Jack the Pumpkin King costume! We would give an arm and a leg to hang out with Sally! We love how defiant and daring she is. She flung herself out of a castle window to escape Dr. Finklestein’s control. That’s pretty fearless! 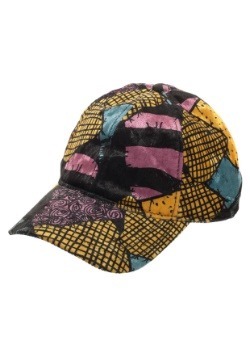 Plus, her sewing skills are on point. 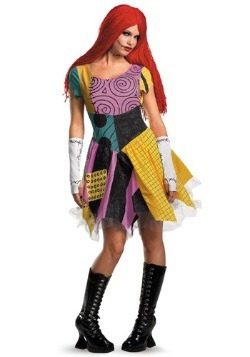 If you want to pay homage to Tim Burton’s rebellious ragdoll, dress in one of our unique patchwork dresses and a bright red wig. 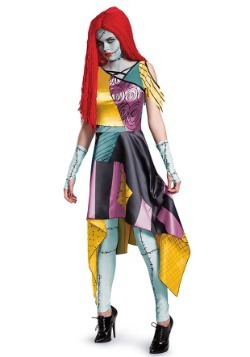 Any Sally Nightmare Before Christmas costume is sure to give you the cartoonish (and slightly creepy) look that you’re going for! 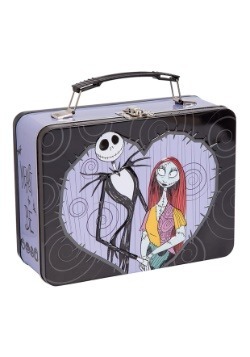 Plus, you’ll look great on the arm of your beau when wearing some Jack and Sally costumes. 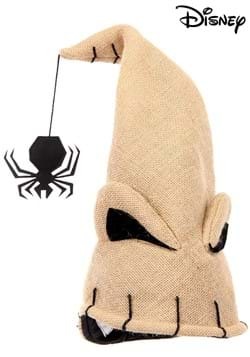 You won’t need to brew any potions using eye of newt or deadly nightshade in order to get the Pumpkin King’s attention. 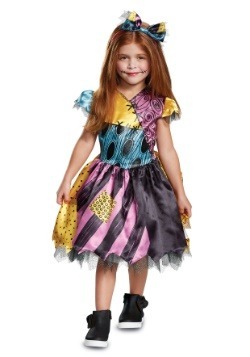 All you have to do is saunter on down to the graveyard wearing this Sally Nightmare Before Christmas dress. 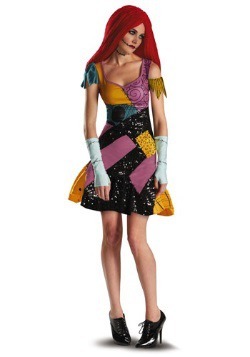 The printed patchwork dress has jagged sleeves and hemline. 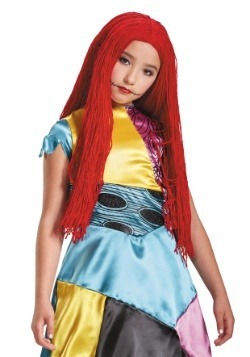 The petticoat is included as well as the fingerless gloves and red wig. Add our gothic boots to complete the look pictured here! 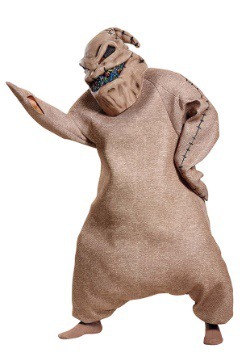 If it weren’t for Sally’s courage, poor Santa Claus would probably still be spinning around on Oogie Boogie’s wheel! 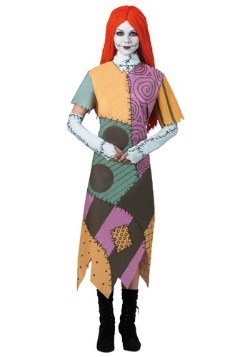 Wear this The Nightmare Before Christmas Sally costume and you’ll get the same look that was made famous by the spooky seamstress from Halloween Town. Once you’re outfitted in the fingerless gloves, calf-length dress, and yarn wig you’ll be ready to pal around with Jack and Zero! 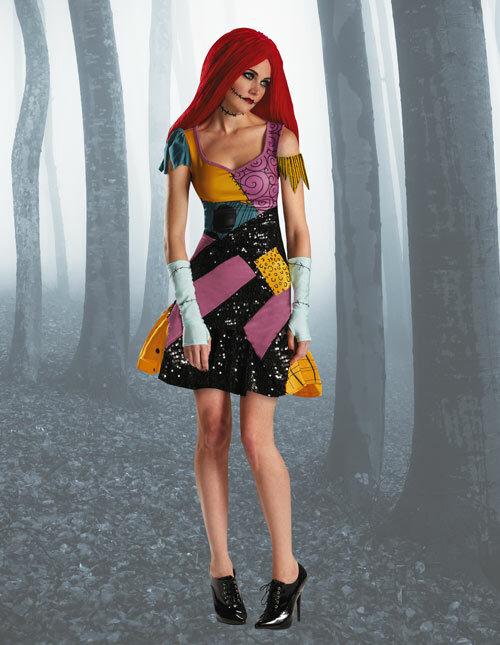 Sally may be a talented tailor but if sewing is just not your forte, you’re probably on the market for a flattering and fashionable Sally dress if you’re planning on going on a romantic date with Jack. If you’re not into tattered edges and voluminous skirts, you’ll love slipping into this stretchy Sally tunic tank. 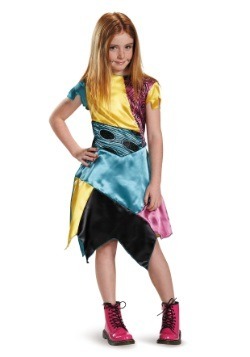 Just pick up a pair of stitched footless tights to create the illusion that your limbs are sewn together! Sally may not live a glamorous lifestyle but that doesn’t mean that you have to do the same! 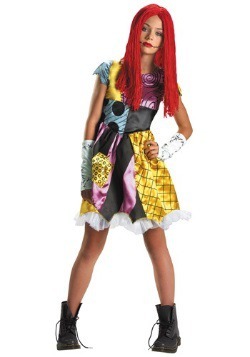 Add some glitz to drab Halloween Town by sporting this adorable Sally glam costume. 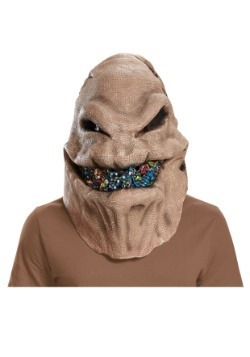 It’s perfect for ladies who like to be a little scary and a little sparkly. 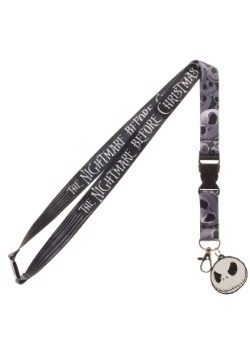 If you’re planning on wearing a Nightmare Before Christmas Halloween costume then you better be ready to accessorize! 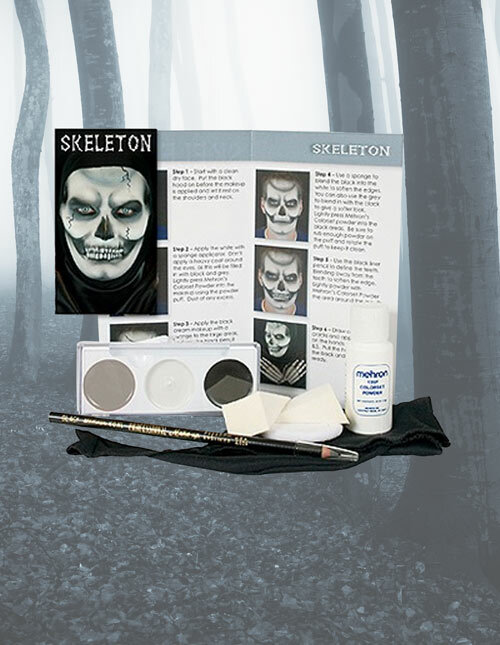 From masks to makeup kits, we’ll hook you up with everything you need in order to look like your favorite skeleton with the haunting voice fit for Broadway. 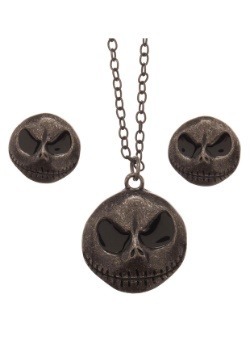 Add these accessories to your cart to complete your transformation into Halloween Town’s revered Pumpkin King! 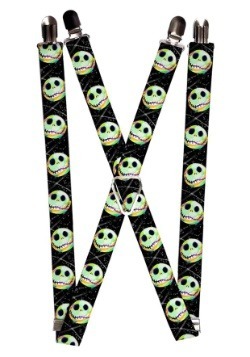 It’s true that Jack Skellington is more than just a bag of bones wearing an epic suit! 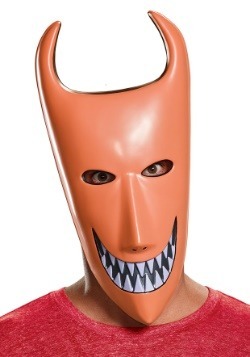 If you want to successfully complete your transformation into the slender specter who tries bringing the joy of Christmas to Halloween Town, then get this mask. 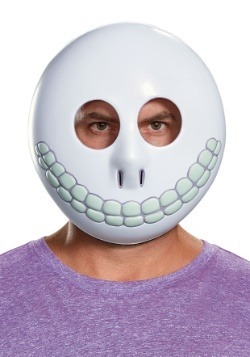 Made from molded latex, this full mask will give you Jack’s signature hollowed eyes and his gap-toothed smile! 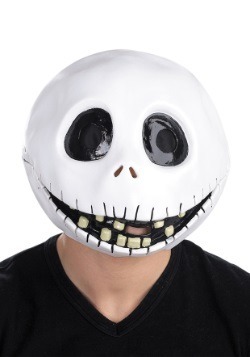 If masks aren’t really your style then you may enjoy transforming your face into Jack Skellington’s haunting visage through the power of makeup. 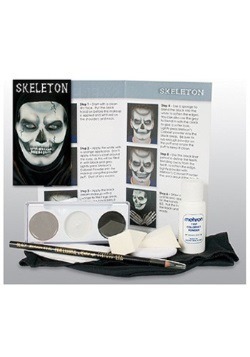 This skeleton makeup kit comes with everything you need in order to complete your Jack the Pumpkin King costume. Follow the included instructions to get the professional quality look! First, you need to take a glue stick and glide it over each eyebrow. Outline your entire eye area with black eyeliner. Create sideways teardrop shapes and fill them in with black eyeliner and shadow to keep the makeup from creasing. Blot white cream makeup all over your face. 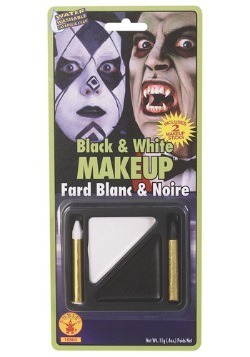 Next, take your black cream makeup again and a thin brush and drag it around each eye to create a shadow. Hollow out cheekbones with black cream makeup and beauty sponge. 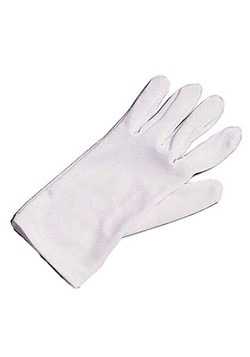 Now take the thinnest brush you have, dip it in the black cream, and draw a thin like from each corner of the mouth. Finally, make small lines along the upper and lower lips to create the illusion of teeth! Start by priming your face with your favorite makeup primer. Take your white cream makeup and blue cream makeup and mix them together to create the best shade for your face. Once you’ve created the desired shade, apply it to your face. Be sure to use a setting powder over it so the cream doesn’t crease. Use black eyeliner to create shadows around the corner of each eye. Fill in your lids with a bright blue shadow. Now take a lighter blue shadow and blend it into the bright blue. Next, grab black liquid liner, use it on the top lids, and wing it out. Add some fake lashes to make your eyes pop. Use the same liquid liner to create stitches on the corners of your mouth. Illustrate the same stitches around the face and neck. Use a navy shadow and hollow out your cheeks and use it to shade the sides of your face. 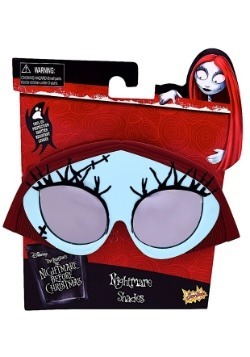 Finally, fill in your lips with bright red lipstick, outline your lips with a black pencil, and you’ve finished your Nightmare Before Christmas Sally makeup. 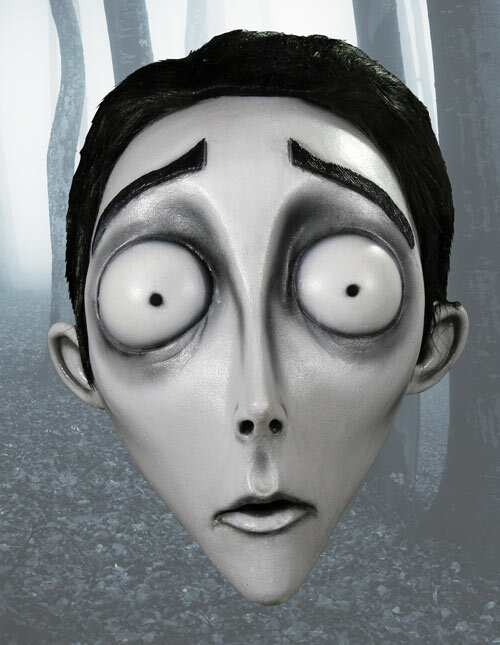 If you’re a fan of creepy films then you probably love all of Tim Burton’s creations. 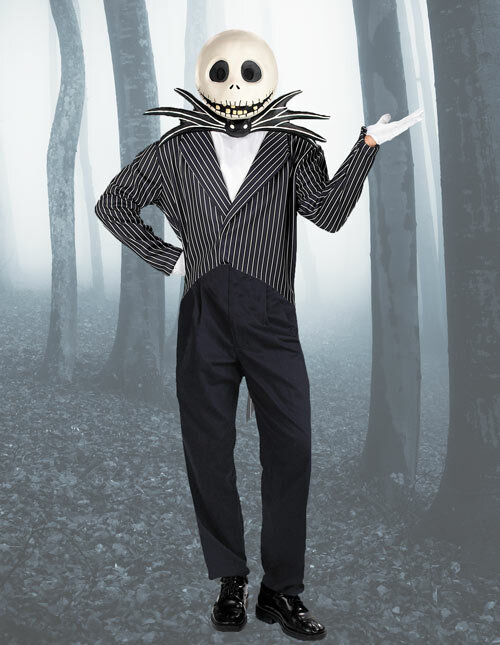 We have tons of Tim Burton costumes for you to choose from, so you can be a different Tim Burton character every year for Halloween if you want! Check out these cool options and make your final decisions. 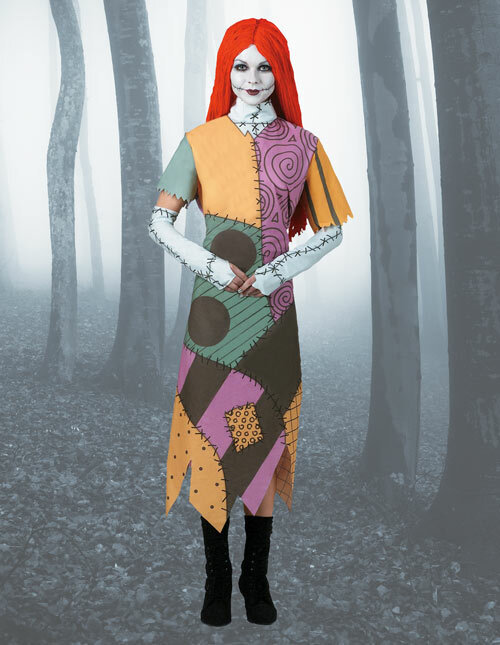 You can choose to break vows and break hearts when you wear this corpse Emily costume. You’ll love sporting a lacy wedding dress and long blue lockets. 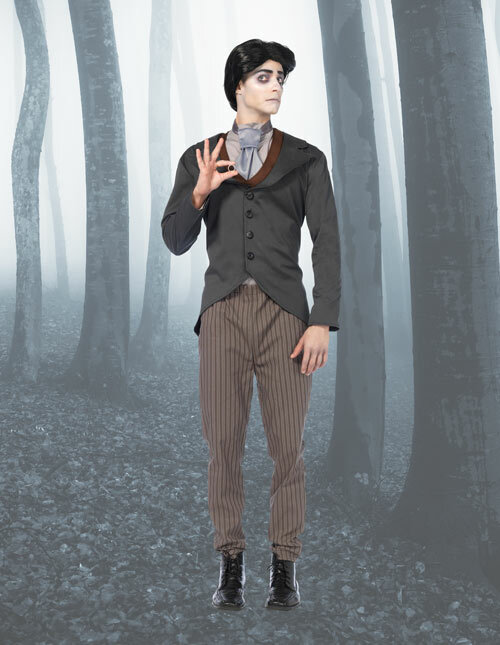 You can add blue makeup and a floral bouquet to the costume to complete this hauntingly beautiful Tim Burton costume. 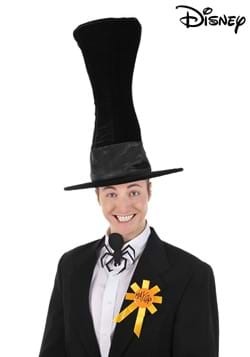 You’ll be charming ladies who don’t even have a pulse when you sport this dashing corpse victor costume. 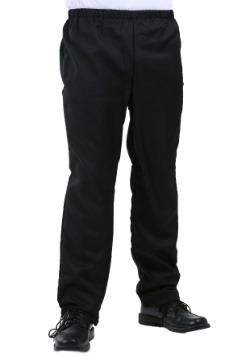 You’ll look debonair and freshly dead when you are outfitted in the jacket, pants, shirt, and wig! 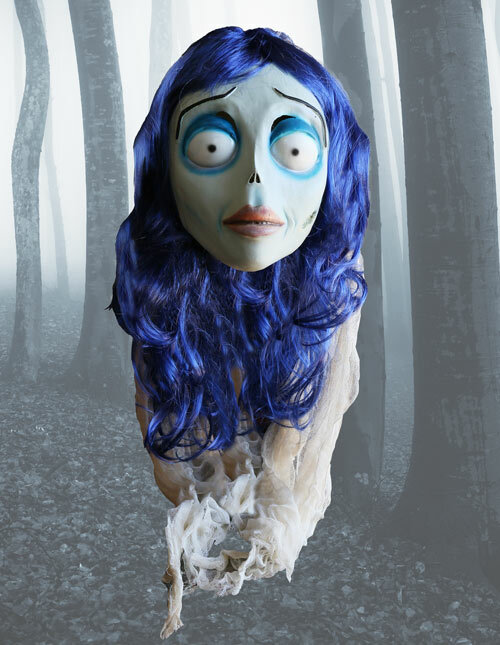 If makeup isn’t really your thing, then you may want to opt for this realistic Corpse Bride mask. If you look particularly good in blue and you can rock the pale lip like no one else you know, then this is the latex mask for you. 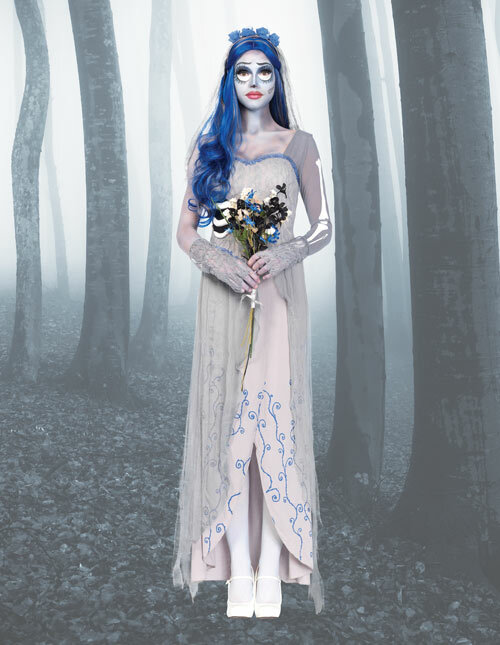 Add it to any Corpse Bride costume to complete the heart-stopping look! 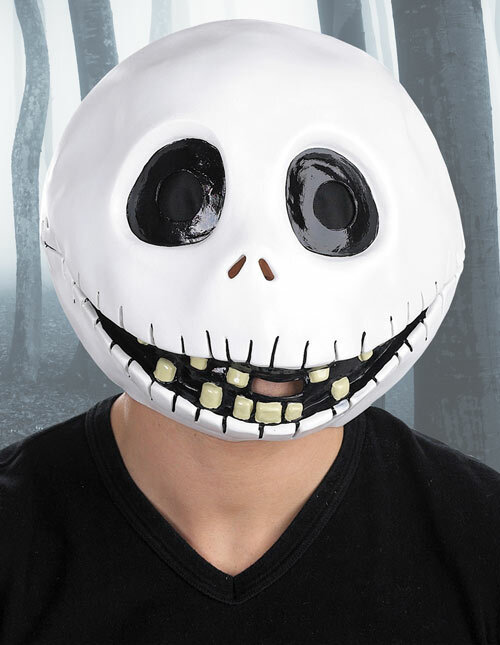 If you want an eye-popping look that will instantly transform you into a Tim Burton character, then this Victor mask is definitely for you. 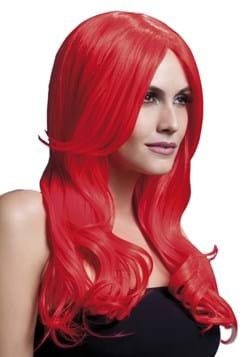 Add it to your costume to complete a look that is straight out of the movies. 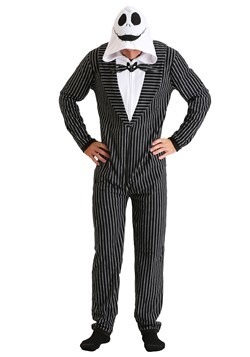 Go ahead and say it…you know you want to…Beetlejuice, Beetlejuice, Beetlejuice! 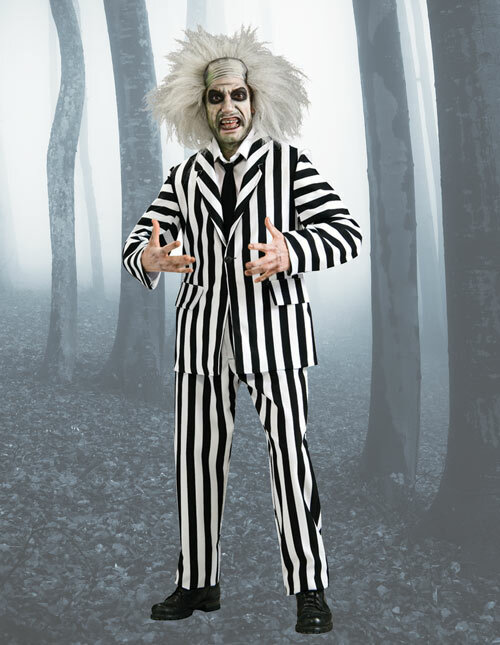 If you want to look like the foul-mouthed bio-exorcist with the electrifying hairdo then this Beetlejuice costume will achieve just that. 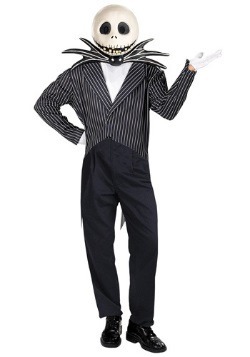 Try your best to scare the pants off of Lydia Deetz when you’re wearing this authentic Tim Burton costume. Want to try your hand at sculpting shrubs? 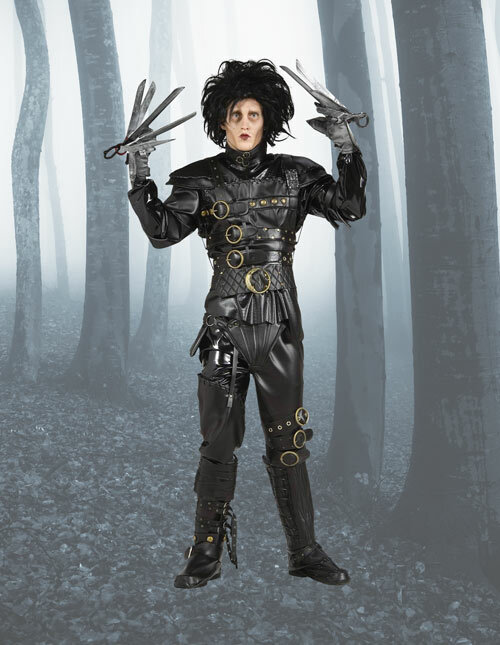 Outfit yourself in this Edward Scissorhands costume and start snipping away. 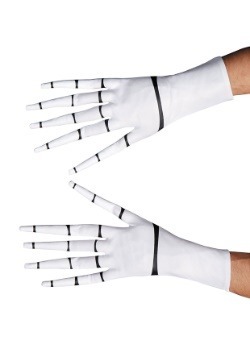 You’ll even get the cool scissor gloves to complete your transformation into Tim Burton’s kind-hearted creation. Who knows, maybe it will inspire you to become a hairdresser? !